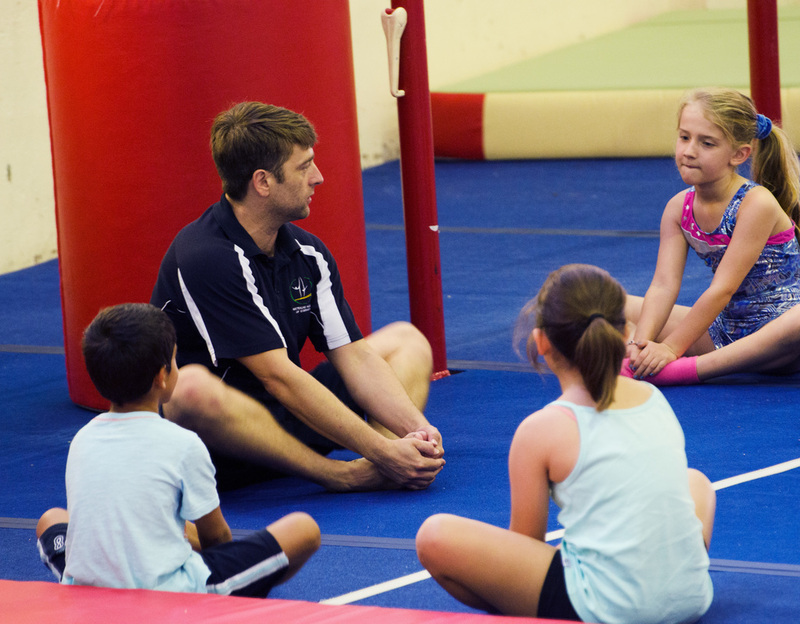 The Australian Academy of Gymnastics a Sydney based family-run business offering the gymnastic component of the PDHPE syllabus in primary schools. The program can be provided either at the Australian Academy Gymnasium in Belmore or in a suitable venue at your school. The program was created in accordance with the PDHPE syllabus, covering all key elements and based on lesson structures and activities suggested in the module. Each session involves a warm-up, a development session and a warm-down. Depending on the requirements and needs of your school, the program can be tailored to be as fun and flexible or as structured as you like. Coaches from the Australian Academy are qualified and professional and all equipment is provided. 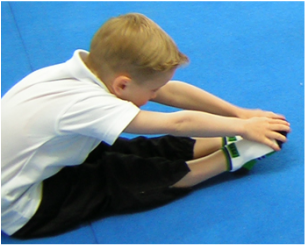 Gymnastics is a great sport that provides developmental opportunities for a large variety of skills that are important for physical control and co-ordination. As a well-rounded and highly varied sport, Gymnastics serves as a great foundation for other sporting disciplines and also caters for all levels of ability. Some of the skills that can be developed through Gymnastics are locomotor and non-locomotor skills, spatial and body awareness plus physical confidence. The Australian Academy school program has been designed to introduce students to a variety of these skills in a safe, interesting and fun way. The warm up component of the program will prepare the body for lesson. It will include flexibility and co-ordination exercises for shoulders, hips, legs and arms. A series of stretching, balance and support positions will also be included after activities involving locomotor skills. Balance and co-ordination are the key features of this apparatus. Skills developed will include walking forwards, backwards, on tip-toes, step kicks, dips with alternating feet and jumps. Depending on whether the program is provided at the Australian Academy gym or at the school, the children will have access to either a regular size trampoline or a mini-tramp. Co-ordination, balance and muscle strength are developed through jumping. The floor component of the program incorporates a variety of skills. Activities include locomotor skills such as jumping, springing, galloping, running, hopping, kicking, forward and backward rolls. Students develop core strength and hand grip on this apparatus. Activities include swinging, climbing, chin ups, and support positions. Students learn and understand the importance of post exercise cool down and stretching to prevent injury.